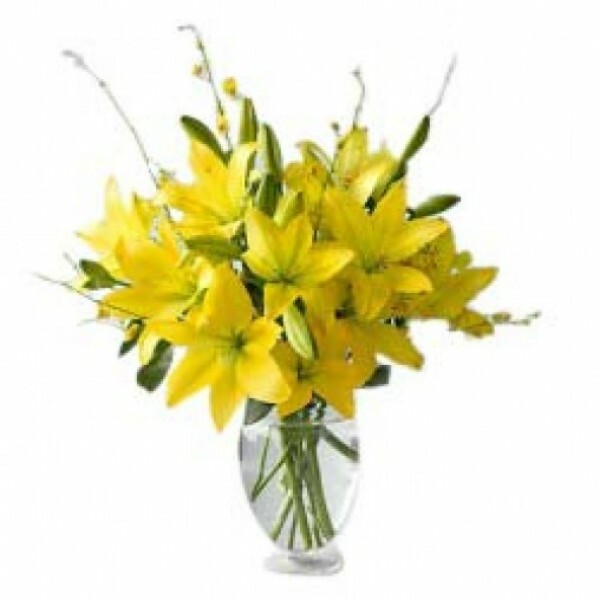 A very classy and elegant bouquet of 8 extra-long stems of Yellow Lilies with fillers. A perfect way to make someone feel loved and special. Paint their lives with the sunny yellow colour by sending them this bunch of flowers.